Experience something new at the museum with our special exhibits! These exhibits are only available for a limited time, so check back often! Our newest exhibit is a very exciting exhibit featuring birds from around Canada! The exhibit introduces visitors to the basics of birdwatching including how to identify birds and how to attract them into backyards. This participatory exhibition includes a programming cart with books, puppets and activity sheets as well as 23 mounted bird specimens. Access to the exhibit is included with regular admission, or inquire about our membership rates. About the Conservation Education Room: Conservation means ensuring Alberta’s wildlife and fish populations are healthy and that the land and water they live in is too. Alberta Conservation Association’s Conservation Education Room will be exhibiting different displays to provide educational outreach regarding some of the challenges that conservation faces. Target audiences are youth grades 3 – 12. Current Exhibit: Light geese—greater snow geese, lesser snow geese, and Ross’s geese—migrate every year to the Arctic tundra where they breed and raise their young. 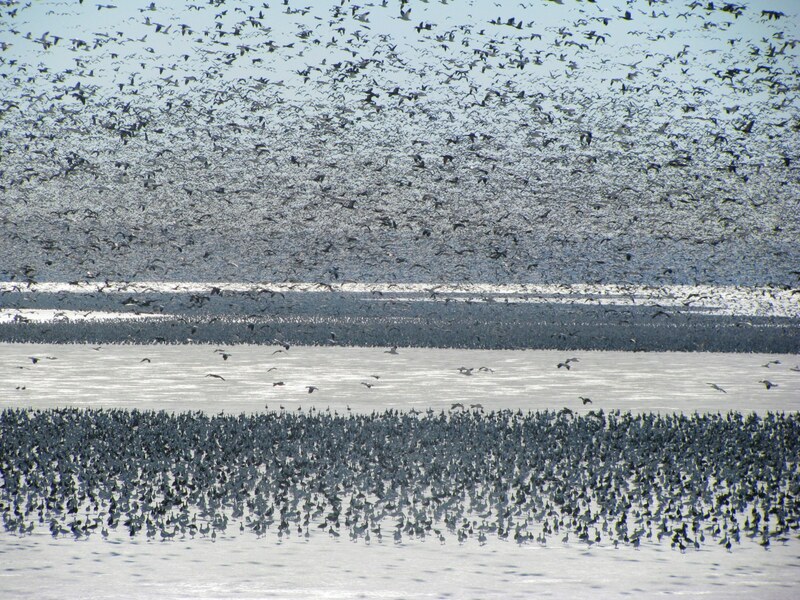 Populations of the geese have reached an overabundant level and the tundra is declining. This exhibit talks about the species involved, the problem they’re causing in the Arctic tundra, and some possible solutions.